Instead of looking at the matchups for some of the better/more owned QBs, we will take a look at some QBs that are normally on your bench or on the waiver wire. There haven't been many great streaming options in recent weeks, but this week fantasy owners may find a reprieve in some of the matchups. Here are some quarterbacks to look at for Week 11. Most likely Alex Smith is owned, but some fantasy owners still may be wary of starting him. However the Chiefs are coming off a very much needed Bye week. The Chiefs have been very lackluster the last 4 weeks after starting 5-0 in what was shaping up to be a MVP type season for Smith. In Week 9 against the Cowboys, Smith completed 25 of 34 of his passes for 263 yards, 2 touchdowns, and 1 interception. 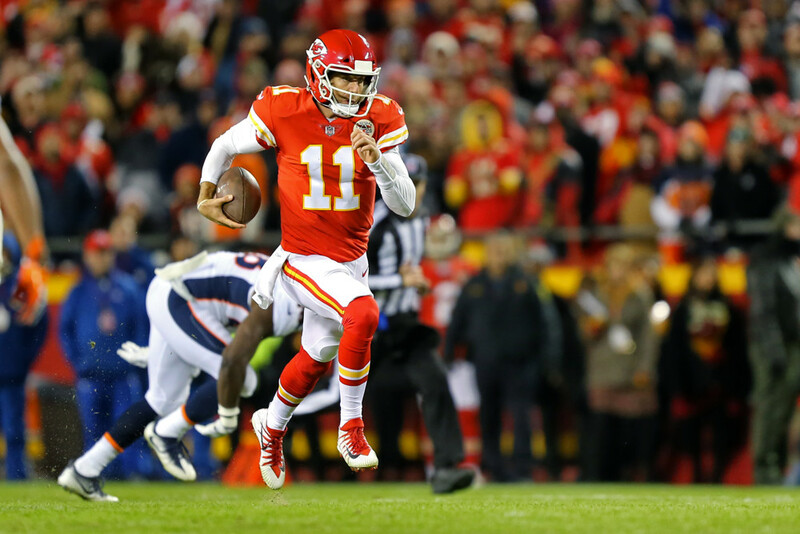 The Chiefs' offense looked lost, forgetting their once dominant run game for a weird passing game. Hopefully they used the Bye week to right the ship, as the Chiefs travel to New York to face the 32nd ranked Giants' defense in points allowed to QBs. This is a dream matchup. The Giants' defense is in disarray, giving up 38 points and losing to the 0-8 49rs. Kansas City's defense is not much better, so this one could turn into a shootout. As mentioned above, Eli Manning and the Giants welcome the Kansas City Chiefs in Week 11. Another offense in turmoil, there were even talks of Manning getting benched. Manning was efficient in Week 10's loss to the 49ers, completing 28 of 37 attempts for 273 yards and 2 touchdowns. Manning will look to build on that efficiency against the 27th ranked defense in points allowed to QBs. Teams have been able to throw all over KC, so the Giants should have no problems airing the ball out. As mentioned above, the Giants also have a terrible pass offense, so this game looks like it will be high scoring. Both QBs look juicy in this matchup. Manning is on the waiver wire in at least half of leagues, so look to him first if you need a streamer. First off, Ben Roethlisberger is probably owned, so this is more for owners who have him on their bench. Now it is generally true that Ben Roethlisberger plays well at home. This season has been a bit of an anomaly (see Week 5 when he threw 5 interceptions at home), but Ben has still been decent, leading the Steelers to 4 straight victories. Last week against the Colts, Roethlisberger completed 19 of 31 attempts for 236 yards, 2 touchdowns, and 1 interception. In Week 11, the Steelers get the 17th ranked Titans' defense in points allowed to QBs. It's not the dreamiest matchup, but Big Ben and Antonio Brown are looking to bounce back from mediocre games, and should be able to beat the Titans' defensive backs. Remember when Blake Bortles was fantasy relevant thanks to garbage time? Well this might not be the case anymore, but Bortles is looking like a nice streaming option for desperate owners this week against the Cleveland Browns. Last week vs the Chargers, Bortles completed 28 of 51 passes for 273 yards, 1 touchdown, and 2 interceptions. He also rushed 5 times for 34 yards. So why Bortles? Well, the Browns' defense has been surprisingly good this year.against the run. They are currently ranked 10th in points allowed to RBs. On the other hand, they are ranked 26th in points allowed to QBs. This means there is a good chance that the Browns shut down Leonard Fournette and the Jaguars will have to throw. Bortles could have a nice day in Week 11. After throwing 3 touchdowns and completing 81% of his passes in Week 9, Jay Cutler returned to form with a 22 for 37, 2 touchdown, and 1 interception day against the Panthers. The Dolphins struggled against a good defense in Week 10, so they hope to rebound in a nice matchup against the Tampa Bay Buccaneers in Week 11. The Buccaneers currently rank 24th in points allowed to QBs, so Cutler should have a little more room to work. The Dolphins aren't much better on defense, so this one could turn into an offensive battle. Cutler is a decent streaming option this week.